Spy shots have just emerged of a Lamborghini Aventador SV prototype testing with absolutely no camouflage. According to reports, this test mule was snapped during an official video shoot suggesting that the release of the range-topping Aventador variant is imminent. From a visual standpoint, the Lamborghini Aventador SV features all the bold and in-your-face styling and aerodynamic elements characteristic of a Lamborghini to wear the SV name. With that in mind, the front bumper has been restyled with it incorporating differently shaped air intakes as well as a body colour matched painted element. Elsewhere, this bright red Lamborghini Aventador SV prototype is rolling on a set of exceptionally tightly-spoked black wheels with what appears to be red centre locks similar to the Porsche 911 GT3 and racing cars. Also on the side, the skirts have been modified while black accents can be found around the side air intake, a new small intake behind the windows and another just behind that. The rear is then arguably even more aggressive than the front. Like the Lamborghini Murcielago SV, the Aventador SV features a towering rear wing with two thin uprights. Additionally, the rear fascia has been extensively modified with the implementation of a menacing rear diffuser. It seems apparent that unlike the Murcielago SV which arrived at the end of the car’s production run, the Aventador SV will arrive much sooner, possibly at the Geneva Motor Show 2015 in March. Alongside the visual modifications, power from the 6.5-litre V12 is expected to be bumped up to the 750 hp mark while other mechanical changes are also likely. The new Lamborghini Aventador SV prototype is expected to make its world debut at the Geneva Motor Show 2015 in March. 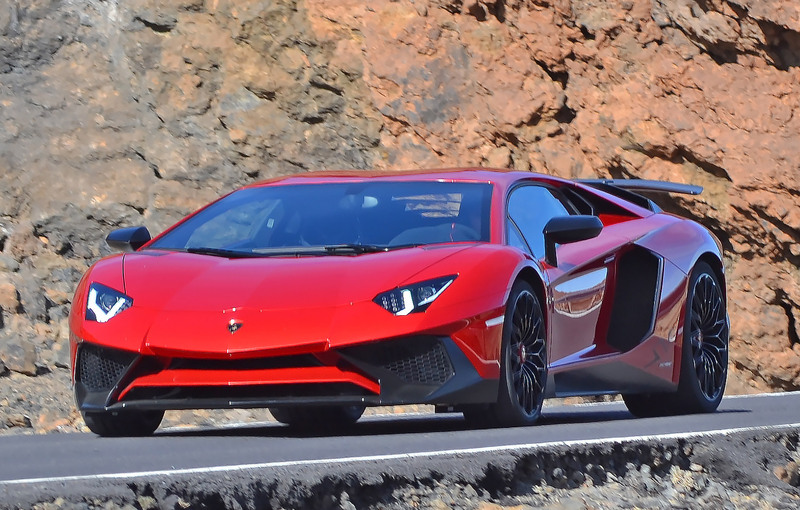 Aventador SV is expected to be powered by a 6.5 liter V12 engine which can produce a power of 750 hp.